Fitbod 3.0 introduces cardio exercise support! We’re excited to take a big step in supporting your complete gym experience with cardio exercise logging! Considering that over half of all gym-goers utilize cardiovascular equipment such as treadmills, rowers and elipticals — with many more enjoy exercising outdoors — supporting cardio is critical in supporting our customers complete active lifestyle. Do you periodically take long runs or rides? Or is a quick rowing warmup part of you workout plan? Now you can track and record these activities directly within Fitbod. In addition, we’ve partnered with Strava so you can GPS track activites and import them directly into Fitbod! We’ve worked closely with our personal trainers to create muscle impact models for cardio exercises. After logging a cardio activity, Fitbod will appropriately impact your muscle fatigue state. The app even takes into account your body stats and cardio exercise frequency. Please provide any feedback on how accurate the muscle impact model feels. Today, Fitbod supports the following cardio machines: Cycling (Outdoor), Stationary Cycling Bike, Elliptical, Rowing, Treadmill, Running (Outdoor), Walking &Hiking. 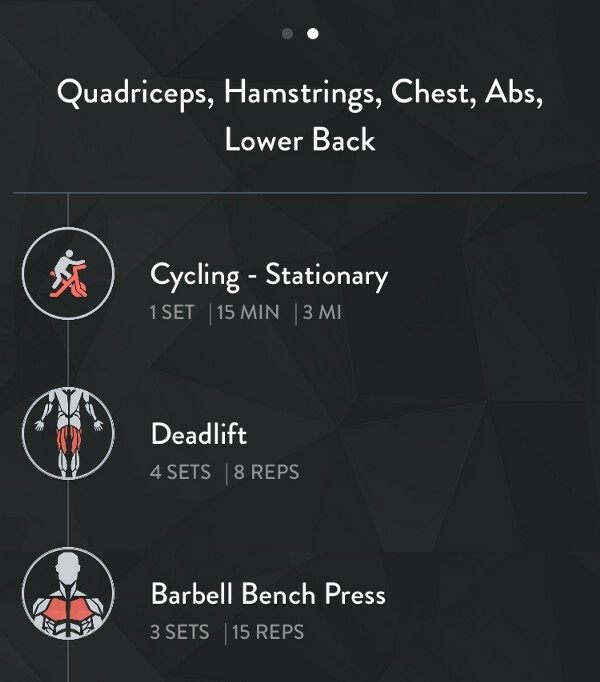 To log a cardio exercise, tap on “Add a Exercise” and then “Cardio”. After you have performed the cardio exercise, input the appropriate measurements, whether it’s distance, time, resistance and more. Cardio exercises now appear in your Log, and impact your muscle fatigue state in the recovery tab. Fitbod also now reads in your Strava Running & Cycling activities and lists these as Fitbod exercises in your Log. The muscle groups exercised by running and cycling are impacted in the Recovery tab. Showcase your workout achievements and exchange kudos from friends and training buddies. By connecting your Strava account, you can post a recap of every workout to your Strava profile. Connect your Strava account in Fitbod Settings under “Connected Apps” in Fitbod.